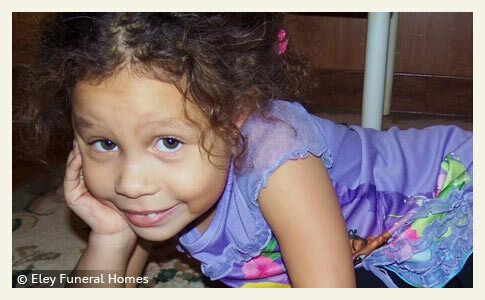 Newly acquired dog kills Kiyana McNeal, 4, injures mother in southwestern Michigan. 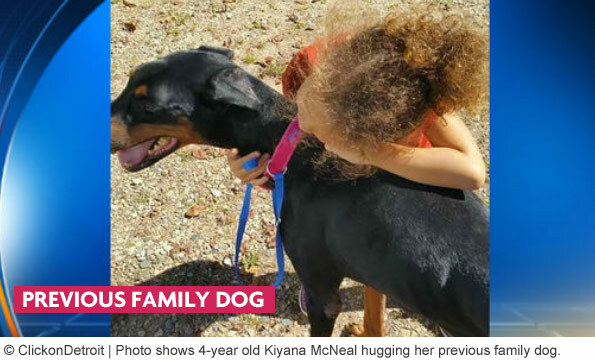 UPDATE 11/02/16: On October 23, 4-year old Kiyana McNeal was fatally attacked in the neck by a doberman-type dog either purchased or adopted by her mother just 45 minutes earlier from an Illinois man. He drove the dog to their home off West Fish Lake Road in Sherman Township then left under an hour later. Very few other details have been released. Today, the St. Joseph County prosecutor's office announced there was insufficient evidence to bring any criminal charges. No information was provided about where the mother located the dog -- on Craigslist, Facebook or a rescue dog forum board? No information was provided about how the dog was advertised. Was the animal advertised as "Good with Kids?" No information was provided about the "mix" of the "doberman-mix," however, social media speculation presumes a canis panther, a doberman-type protection dog variant. The public will never know the answers to these important questions. About 8-months ago, Kiyana's mother, Jacey McNeal Wolkins, adopted a doberman named Willow (seen in below photo). Willow died of cancer about 2-months before Kiyana's death, according to Lorie May, the little girl's stepmother. Her mother replaced it with the new doberman-mix, which May said was 3-years old. The Illinois man spent about 30 to 45 minutes with Kiyana and Jacey, while they got acquainted with the new dog, May said. Then he got in his car and left for Illinois. It was alluded to in earlier reports that Jacey called the previous owner after the dog attacked Kiyana and he came rushing back to help. However, May later states that Jacey called the Illinois man about 5 minutes before the attack for unknown reasons and asked him to return. He arrived back at her home just after the attack and immediately began giving CPR to the little girl. Jacey sustained injuries trying to pry the dog off her daughter. She was hospitalized and released. Fatal dog attacks involving doberman pinschers and their mixes account for 1% (5) of all dog bite fatalities in the U.S. since 2005 (388). One case involved a protection-trained doberman imported from Hungary that killed its 71-year old owner. Another case involved a family doberman that killed an infant, and a third case involved a pack attack with multiple large breeds, including dobermans. Over half of the 5 cases involved high-risk scenarios, elevated further by powerful dog breeds. Neighbors of a 4-year old girl who was killed by a new dog said the child was giving the animal a biscuit when it fatally attacked her neck. Her family had acquired the doberman-type dog less than an hour earlier from its Illinois owner. "I was in my bedroom and I heard the screaming. And I heard somebody holler, ‘Becky!’" Neighbor Becky Davis recounted. "The dog come and sniffed it. Then stepped back and sniffed it again, and evidently the third time, he got her," Davis said. The man from Illinois who sold or gave the dog to Kiyana's family said the dog was 4-years old and had never displayed aggression before. Becky Davis and her husband Kenneth were close to Kiyana and often babysat her. Kenneth even installed a gate between the two homes so Kiyana could visit while he worked in the yard. Kiyana's mother, Jacey McNeal Wolkins, was injured trying to save her daughter. Family members say the mother has since been released from the hospital. The Davises also spoken to FOX 17. The couple clarified that the attack happened inside Kiyana's home -- earlier it was reported the attack occurred outside. "When they brought Kiyana out of the house, I saw her mother had lots and lots of blood,” Kenneth said. "Any blood, it was from Kiyana." One neighbor who rushed to help called 911. Jacey called the man who just sold her the dog who sped back to the home to help. First responders tried to revive the little girl. She died on scene. Sherman Township, MI - On Sunday, a 4-year old girl was killed and her mother seriously injured by a dog they had recently acquired, St. Joseph County authorities said. The attack occurred about 4pm on the 63000 block of West Fish Lake Road, St. Joseph County Undersheriff Mark Lillywhite confirmed. The child could not be resuscitated and died on scene. The mother required hospitalization for her injuries. Authorities described the dog as a doberman or doberman-mix. Circumstances of the attack remain unknown, but friends of the family told police the mother and daughter were outside with the dog when the attack occurred. The mother had acquired the dog to replace another family dog that had recently died, friends of the family said. No information was provided about the source of the dog -- whether it was acquired from a shelter, rescue, classified ad listing, family friend or breeder. St. Joseph County Animal Control took the dog into custody. A YouCaring fundraiser for the child identifies the little girl as Kiyana McNeal. "They had gotten a dog that day and, as the old owner went to leave, the dog attacked Kiyana. Her mom tried to stop it and save her but couldn't," states the page. "She was taken by ambulance and hospitalized with wounds to her head and hands. It has been a whirlwind since then, and the pain is inexplicable. We have had numerous friends and family ask what they could do," states the donation page. ClickOnDetroit shows a photo of the little girl with the family's previous doberman dog that died of cancer. The news video also states that Kiyana's mother purchased the new doberman-type dog from a man in Illinois. The original owner spent about 45 minutes at Kiyana's home and was about to leave, when the new doberman-type dog attacked the little girl. The mother intervened to save her daughter and was badly injured. Police have not released the name of the previous owner. I have a strong suspicion that the "Doberman mix" is going to look like this. But-but-but no one can *possibly* identify a pit bull! Here's is the big difference: Doberman attacks, particularly FATAL ones, are RARE. Pit bull attacks, and particularly FATAL ones, are ROUTINE. If they thought it was a Doberman mix, it seems likely it was Rottweiler mix of some sort. I'd like to see a photo of the animal. According to the breed description the canis panther is derived in part from pit bulls (AmStaff). Ka D, was there a follow-up article that we can leverage a description from? The only thing stated in the initial police press release is that the dog was a doberman or doberman-mix. No other information was released about the breed. I went to the rockofages kennel website and a chill ran up my spine. These people aren't going to stop until they taint every breed with this demon DNA. All I've ever had were Dobermans. They are the best breed of dog, to me at least. This is such a sad story, and I too would Ike to see a picture of this supposed Doberman mix. Poor baby, and the poor mother, I can't imagine. I wish I could post a photo here of what looks like a dalmation with a pit bull head that won a recent contest. It's described as a shepherd mix. I am Kiyana stepmom and ran across this post.I am not sure of the details of the dog but the one thing I do know is our "Baby Girl" was put in a situation caused by poor decision. Her dad and I struggle so much with the events that took our little girl away. Her mom brought this dog to their home without letting anyone know. We were getting ready to pick her up the next day for our time with her. WHY? What can I do to bring awareness to parents so they consider the risk. I've started a blog in hopes that it will be seen around the world. We need her death to bring something positive. Please visit my page http://www.kiyanamcneal-ourangel.com so we can start bringing awareness in as many forums as possible. We are so lost without her.